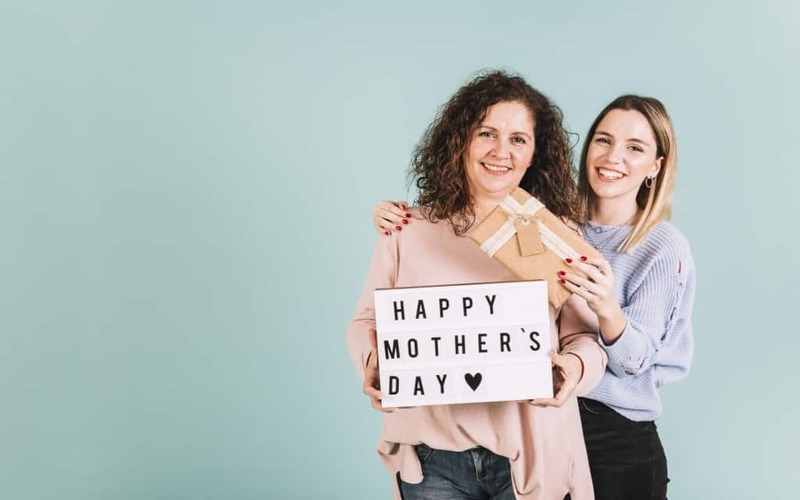 Are you planning for a Mother’s day gift? Or is it your mom’s birthday by the end of this month? Whatever might be the case, you MUST get something that is meaningful and heart-touching. A friend used to quote the bond of a mother and children as ‘mothers are like no others’. It is a definite truth. Mothers are irreplaceable part of life! In the juggle of life to manage your career and home life, you overlook the importance of your parents in your life. They raised you, they invested in you, they loved you to the utmost and they still do; and yet you have forgotten to return their love? Is it justified? Would you like your children to do the same to you? Obviously, not! So, why not show it to your children that how they must remember their parents in their lives? Plus, remember all the important dates that are related to your parents to make their moments special and unforgettable. Show your gratitude by gifting her a beautiful and delicate necklace that has a message for her. A customized message of your choice can be engraved on to the necklace. It would be the most unforgettable and sentimental gift of the year for your mother. The depth of your love will definitely shine through the beauty of the necklace. You can choose any of the meaningful quotes of Rumi to be engraved on to the necklace. If your mom has a favorite, just go for it without even thinking. The necklace will become the most priceless gift for your mom this year. Moms always adore something that is handmade and is pouring with your love up to the brim. If you are the creative one in the family, you must think of gifting a journal that has all the stories, moments, wishes, celebrations, and mishaps gathered in one place. Express them through your words in the journal and fill up the journal with all your precious moments together. Make her feel special for all the sacrifices she has made for you. The happiness of your mom after receiving such a beautiful gift would make you feel that everything you did was worth the effort. Don’t you enjoy witnessing the tears of joy in your mother’s eyes? Make your journal a heartfelt and a meaningful present! Every mom wants to look young, fit, and perfect. Be it for her children or for her husband. Add to her efforts to look flawless and forever young by giving such an amazing gift that can vanish her age-related worries for real. With time, it becomes difficult for mothers to have a good night’s sleep. If your mother is going through a tough time, she needs to relax; otherwise, the signs of aging cannot be avoided. Less sleep affects the complexion of your skin as well as leads you to baggy eyes and dark circles. So, get your mother Baebody all-in-one age miracle cream to tackle the aging problems before it gets out of hands. It can incredibly reduce puffiness of the eyes, lighten the dark circles, tone down the wrinkles or maybe push forward the time of their arrival, and tone down the eye bags. It contains vitamin E, hyaluronic acid, and plant stem cells to firm and protect the skin. There are no harmful dyes or fragrances added to the cream to prevent adverse effects; hence, there are absolutely zero side-effects of Baebody eye gel. Usually, moms love to experiment in the kitchen. Yes, they are the scientists inside the kitchen. For that, they enjoy having the best equipment to make their experiments a success. To put it another way, mothers love it when their family appreciates the meal prepared by them. The instant pot is a kind of all-in-one pot that can perform the function of a pressure cooker, rice cooker, steamer, slow cooker, sauté, warmer, and yogurt maker. What else would anyone want? It is no less than a miracle that does everything for you without having to switch the pots again and again. If you have to move between places, this pot will fit in everywhere to make it easier for you to prepare a healthy meal every day. Additionally, it lets you cook the meal about 70 times faster than usual. Your mom is surely going to love this amazing kitchen gadget. If your mom is a BBQ expert, get her this marvelous gadget that helps in preparing a tasty, juicy, and scrumptious food in no time. Infrared grills cook faster than usual grills. You don’t have to deal with the sooty smoke and sooty charcoal pieces to light a fire to cook. The working of infrared grills is programmed in such a way that the hot air circulates to prevent drying of grilled foods. They are juicy and finger-licking good. It offers an ample amount of cooking area. Additionally, there is a built-in thermometer with a warming rack that helps in the regulation of a standard temperature to prevent burning of food. Make her earn all the appreciation for her expertise in grilled food by gifting her infrared kitchen grill. If you remember her needs and choices, she will surely adore your gift for life. Have a peek at this site to learn more about the best quality kitchen gadgets that you can gift your mom.